Make your trip to New York extra special and stay at one of the best boutique hotels in the state. Whether you are staying directly in the city or Upstate somewhere, these hotels will add some style to trip. The Tribeca Grand Hotel offers its guests luxury hotel service with their 24 hour guest services, eye-catching decor, and ideal location. In this New York hotel each room is stocked with flat screen TVs, Sony sound docks, 24 hour concierge service, and 24 hour customer service. A lounge and private screening room are also featured at the hotel. 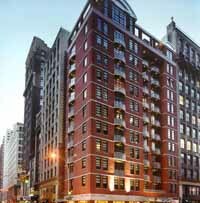 The Tribeca Grand Hotel is located between two of downtown's biggest residential neighborhoods, Soho and Tribeca. The hotel is in the perfect location to go explore New York City. If you are looking for a vacation getaway or a place to stay for a night, The Tribeca Grand Hotel has what you are looking for. Check out their website today to see if this hotel is right for you! Spend the night at this non-smoking boutique hotel! The sophisticated feel and elegant decor will greet you as you enter the doors to this New York boutique hotel. The Pearl hotel is the perfect location for both business and leisure. 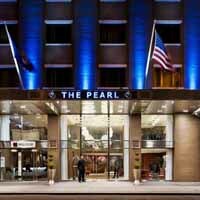 Walking distance from some of New York's biggest attractions, The Pearl hotel will provide guests with a comfortable and relaxing stay. Each room has soundproof walls and windows, perfect to block out the noisy streets of the city at night. A conference room and fully stocked library are featured at this hotel making it the perfect place to host business meetings and events. The Pearl hotel is a non-smoking hotel. Service at The Pearl hotel is available from morning to night. Through the accommodations and service that The Pearl provides, guests will have a great experience staying here. Be sure to visit their website and get ready to have a New York experience that will be truly unforgettable. 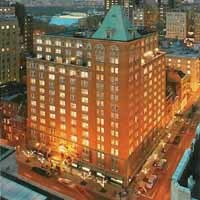 Experience New York with this landmark hotel! Set as a 1927 landmark, The Mark hotel remains as it always has on the outside. The inside, however, has been reimagined. With up-to-date technology and modern design, this New York hotel will provide guests with the getaway they need. On some of the Upper East side's best blocks, The Mark hotel puts you in the center of New York’s' social and cultural life. The hotel is surrounded by some of the best museums, restaurants, and shopping that New York has to offer. A mixture of fun and relaxation will be provided to all guests. Wander around the streets of the city or enjoy the quiet guest rooms and suites. 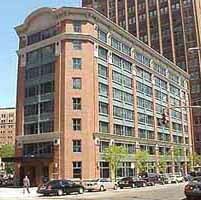 The Mark hotel will provide you with the true New York experience that you are looking for. The newly renovated Affinia Hotel in New York is comfier than ever. Stay in one of 618 suites and guest rooms complete with wireless internet, an ipod dock, and flat screen TV. Relax and enjoy Affinia's signature beds and choose a pillow that suits you from the pillow menu. With over 10,000 square feet of office space, the Affinia Hotel is perfect for business meetings or any other large event. A restaurant is located downstairs and if that doesn't satisfy you, step outside and experience New York City. 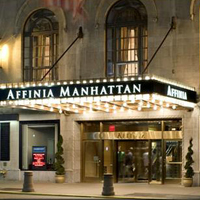 Located right near Times Square and Broadway, the Affinia Hotel gives you the opportunity to easily explore the city. Whether you are a tourist taking a vacation or a local looking for a weekend getaway, the Affinia Hotel is perfect for you. Come and have a relaxing stay at this hotel. Located in the heart of New York, Hotel Giraffe is an urban oasis perfect for business or leisure stays. Inspired by one of the worlds most beloved animal, the giraffe, the hotel exhibits graceful elegance, beauty, strength, and kindness. The hotel offers spacious suites and guest rooms with guaranteed comfort. Setting this New York hotel apart from the others, Hotel Giraffe offers free continental breakfast, passes to the New York Sports Club, daily newspapers, and other amenities. Three restaurants can be found throughout the hotel open at specified times. When you enter Hotel Giraffe, you will enter a world of sophistication with the comfort and gracious service that will lead to an unforgettable trip. Visit their website to see room availability. 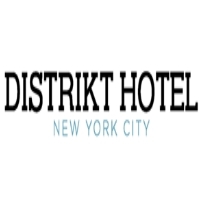 Distrikt Hotel in New York is located steps away from Times Square and the many theaters of Broadway. There are 155 guestrooms designed for the comfort and needs of the guests to include relaxing Simmons Beauty Rest mattresses, decadent Frette bed and bath linen, a 37” LG flat screen television, and more. The hotel is one of the best boutique hotels in the city through its architecture, design, style and service. With a great location, nice service and comfortable rooms, Distrikt Hotel has made a name for everything a hotel has to offer in the city. 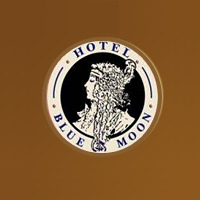 Blue Moon Hotel in New York is a place in history where quality and refinement meet comfort and warmth. This boutique hotel is designed with apartment style suites on the lower east side of Manhattan. The hotel is the best spot for those travelling for business or visiting the popular tourist attractions in the city. The original architecture, wood moldings, doors, light fixtures and marble tiles are just a few of the features that have been reintegrated into the hotel’s design. 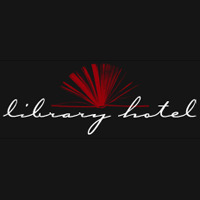 Library Hotel in New York is the best boutique hotel for book lovers. Each of the 60 rooms is uniquely adorned with a collection of books and art exploring a distinctive topic within the category it belongs to. Guests are invited to unwind from their urban adventures by enjoying the quiet exploration of over 6,000 books. The signature amenities feature a beautiful continental breakfast buffet every morning, fine wines at an evening reception, wired and wireless high speed internet access, access to a selection DVD, daily newspapers and of course 6,000 books. 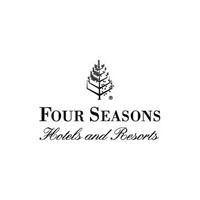 Four Seasons Hotel in New York is one of the best boutique hotels in the city. It has 368 ultra-spacious hotel rooms and luxury suites off Park Avenue. Many feature dazzling Central Park views, while others present the city iconic skyline. You will enjoy the delightful touches such as handcrafted furniture, a full marble bathroom and bedside controls that open your drapes at a touch of a button to reveal the dynamic, world class city spread out before you. This is sure the best accommodation a tourist can hope for. 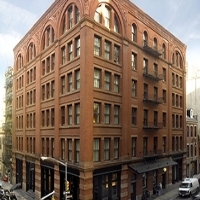 The Mercer in New York is Soho’s foremost luxury boutique hotel, offering 75 guest rooms on six floors of a landmark Romanesque revival building in one of the city's most exclusive neighborhoods. This is the first hotel to offer the best authentic taste of loft living, making it both home and hotel. The hotel speaks of elegance, subtlety and intimacy. The staff members will become the guests’ personal concierge and the front desk as their private secretary. 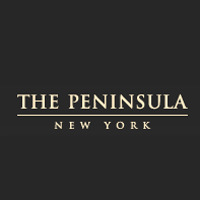 The Peninsula New York has the best accommodation for a boutique hotel in the city. The double glazed cocoon of peace and quiet is probably the most comfortable bed guests will ever experience. It is located near the city's iconic landmarks like MoMA, Central Park and the Rockefeller Center. The hotel is the default choice for discerning business and leisure travelers. There are six function rooms that have a combined floor area of 3,500 square feet. Crosby Street Hotel in New York is one of the most lovely boutique hotels in the city. There are 86 bedrooms and suites on over 11 floors. Each has high ceilings and full length windows. There is also a Crosby Bar, a private leafy garden, guest drawing room, several stylish event and meeting rooms, and also a luxurious 99 seat screening room and fully equipped gym. The bed is comfortable and the shower pressure and temperature are perfect. This hotel offers the best complete accommodation for guests to relax and enjoy their stay in the city. 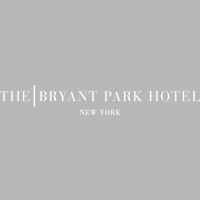 The Bryant Park Hotel in New York is one of the most romantic boutique hotels in the city. It is located near Times Square, Empire State Building, Grand Central Terminal and Broadway. The hotel has the best facilities like a fitness center and gym that is open 24 hours, a night club and bar. The accommodation in each room includes 32 inch flat screen TVs, free internet access, AC, and premium amenities. Check out the Cellar Bar at this hotel for a night experience you won’t forget. 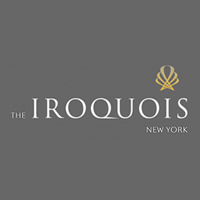 The Iroquois Hotel in New York is a luxury boutique hotel in a central location with sterling amenities to appeal to business and leisure travelers alike. You are only a step away from everything that makes the Big Apple special. With blending style and setting in a way unmatched by the other hotels, The Iroquois offers guests a splendid array of features, including exceptionally appointed rooms and suites, superb dining, a modern fitness center, elegant event space and complimentary Wi-Fi internet access throughout. 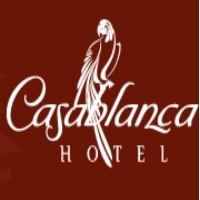 The Casablanca Hotel in New York City is an intimate European style family owned boutique hotel in the city's most popular location. Guests can escape from the hustle and bustle of the city and relax in front of a fireplace at Rick’s Café. The Café serves the best complimentary refreshments 24 hours a day, including deluxe continental breakfast each morning and wine and cheese receptions every evening from 5 pm to 8 pm. The hotel has the warmth and charm of a Bed and Breakfast.